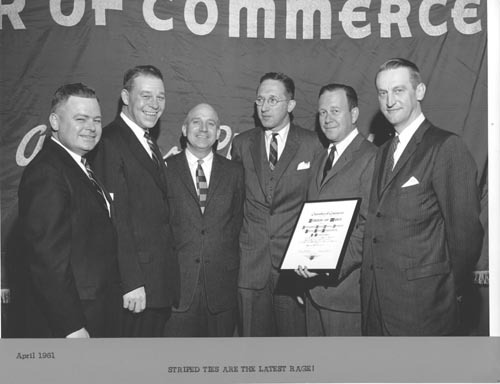 B&W image of sixmen standing in front of a banner. One man is holoding a plaque. Recto bottom: "Striped ties are the latest rage "